Collecting Asylum: Entries to the Asylum: Tuesday 4th - Wednesday 12th April 2017. Entries to the Asylum: Tuesday 4th - Wednesday 12th April 2017. A few new things in the Asylum recently, not all pictured yet however. Will be doing a few unboxings over this long Easter weekend :) So make sure to keep an eye out for those! - Looper Filmarena Fullslip + Lenticular [Bluray]. - Ted 2 Filmarena Fullslip [Flash Gordon Variant] [Bluray]. - Persona 5 Take Your Heart Premium Edition [PS4]. - Wolf Children Hosoda Collection Special Edition [Bluray]. - Ghost in the Shell Mondo Steelbook [Bluray]. - Ruin of the Reckless Kickstarter Signed Limited Art Print. - Bryt Socks 2.0 Kickstarter Reward [2x Yooka Laylee, 1x Raunchy Rainbow]. - John Wick Filmarena Angel & Devil in the Maniacs Collector's Box [Bluray]. - Yooka-Laylee 64-Bit Edition Kickstarter Package [PC]. - For Honor Metalcase [No Game]. - Deadpool FilmArena Limited Hardbox Edition [Bluray]. 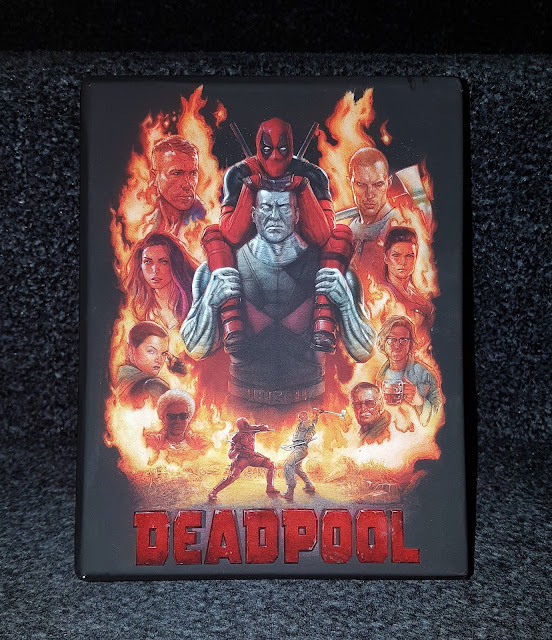 <3 Really happy with the Deadpool Box, although it's missing a disc (factory error) so waiting on an update from Film Arena on that :) Will post once I hear back! What new stuff have you got lately?